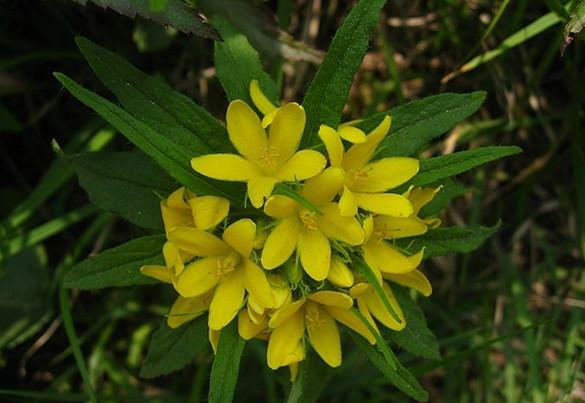 The drug is the dried or fresh whole plant with root of Lysimachia klattiana Hance(family primulaceae), growing on hill Mopes, roadsides, ridges of fields and in shrubs, distributed in Jiangsu, Anhui, Zhejiang, Jiangxi, Fujian, Shandong, Henan, Hubei, Hunan, Sichuan, Guizhou, Yunnan of China. Cool blood to stop bleeding, soothe the liver, remove toxicity of snake. Insomnia, hypertension, snake bites, nose bleeding, hemoptysis, traumatic bleeding, hematochezia, hematemesis. Decoct 15~30 g, or pounded into juice. Proper dosage is for external application, pounded for applying with the fresh.